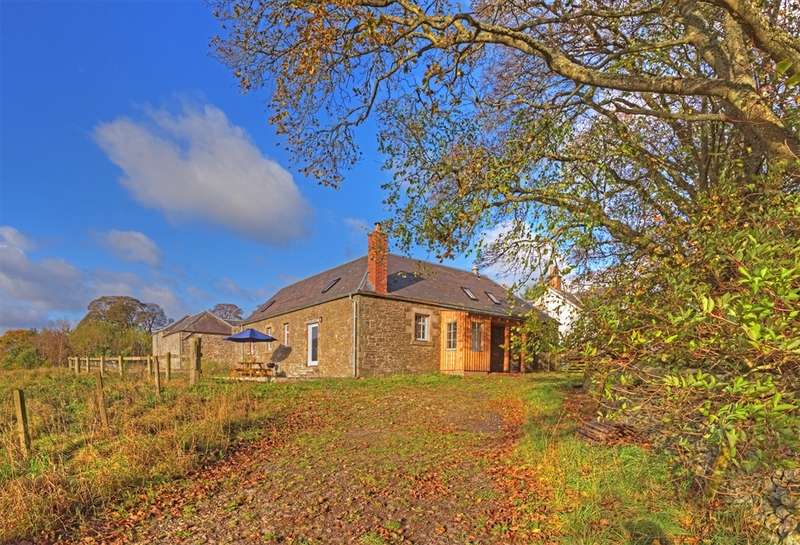 Extremely comfortable recently converted cottage. Sleeps 6. With soaring full height ceilings, calming tones, high spec kitchen and luxury bedding. Three bedrooms, one is ensuite. 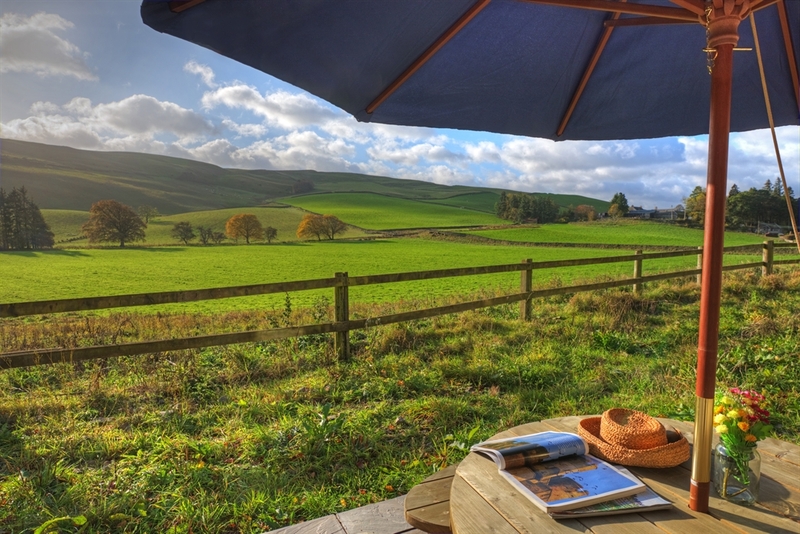 Sunny south facing terrace surrounded by stunning vistas. 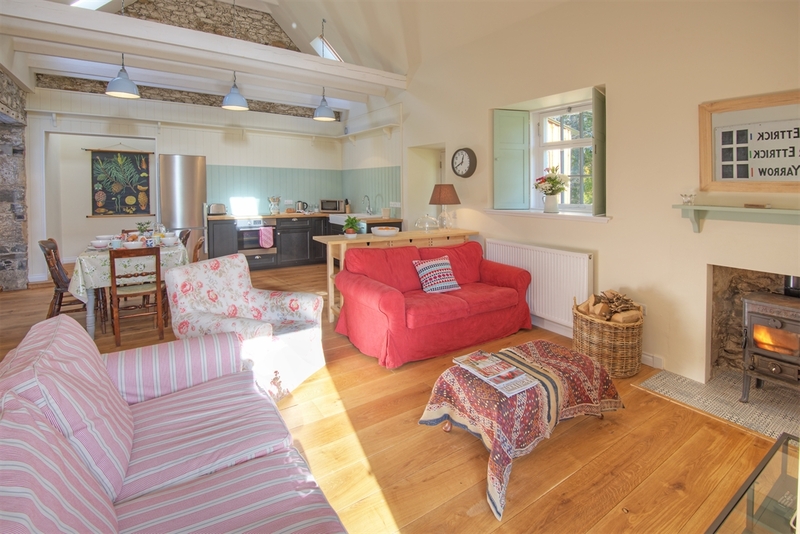 In what was the old laundry house on the farm we have created a comfortable stylish holiday cottage whilst retaining the original features. Sleeping up to 6 persons, the self-catering accommodation comprises a large open plan and full height kitchen living area, 2 double bedrooms with king size beds, one ensuite, 1 small twin room and a further bathroom. 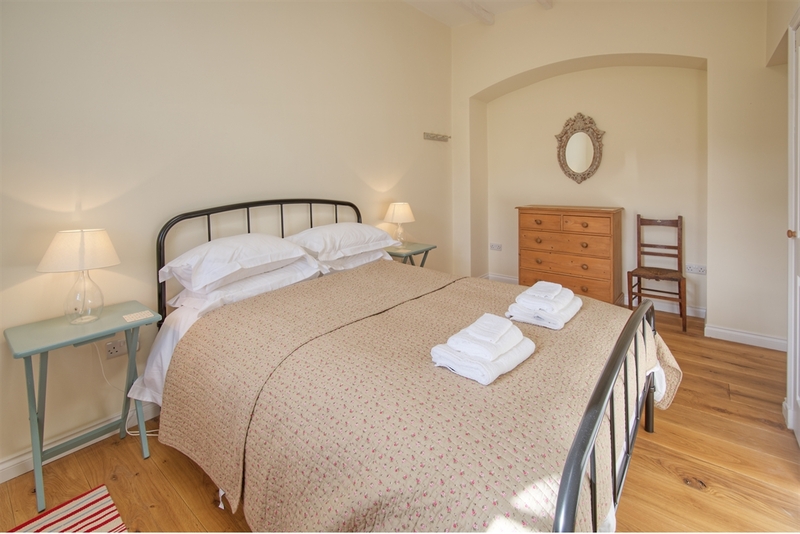 We are currently offering a 20% discount on bookings with a max of 2 guests. Please email for prices. 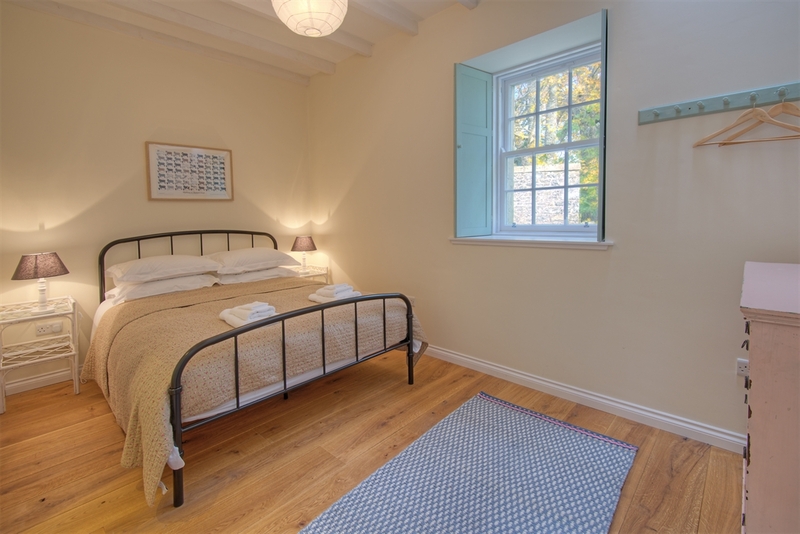 The cottage is decorated in a traditional yet contemporary feel with light bright rooms, painted wooden beams, solid oak flooring, period style shutters and a Morso Squirrel wood burning stove, complete with a full log basket. 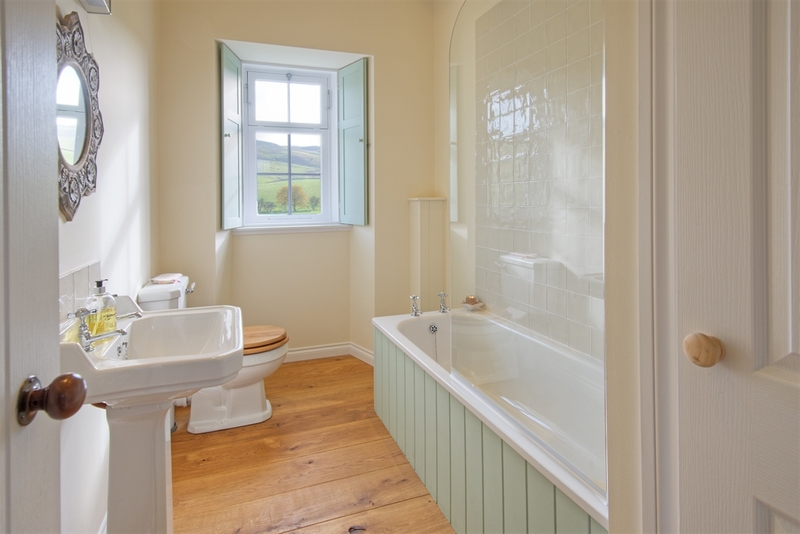 Laundry Cottage is south facing with amazing views towards Howford Hill. The perfect spot to sit back and relax! For young families, there is a wildlife pond for dipping and a field that stretches out from the terrace, an ideal spot to oversee children playing in the wildflowers. Inside, the kitchen has an induction hob, oven and microwave for cooking; dishwasher and American style fridge freezer. If you really want a holiday and don’t fancy cooking, we can supply you with a selection of hearty home-cooked meals that will be in the fridge/freezer waiting for your arrival – just ask for details. There is a DVD player and a selection of family DVDs to watch plus some board games. We have a highchair and travel cot if needed and can also supply you with a selection of toys. Comfortable beds with feather and down duvets and pillows with 100% Egyptian cotton linen. Outside there is a barbecue on the south facing sunny flagstone terrace with table and seating. A larch porch with the original laundry house windows will store your wellies and coats, and the sturdy loggia is a good spot for drying wet buggies, fishing rods and bicycles. Wi-Fi is available although it can be rather intermittent. There is also free wi-fi in the local pub in the village. You may get a signal for your mobile phone in or around the cottage depending upon your network. 5 minutes away is the village of Ettrickbridge, where there is a great pub, The Cross Keys Inn, serving hearty home cooked meals and a great selection of ales and whisky. You also have access to the village Tennis Court, which sits alongside the playpark, football pitch and cricket nets. Full height kitchen living area. Painted beams throughout the cottage. Full height kitchen living area. Painted beams throughout the cottage.